Ron-Robert Zieler’s room at The Address hotel was gutted on New Year’s Eve. HANNOVER GOALKEEPER Ron-Robert Zieler had a more eventful mid-season break than he bargained for after seeing his Dubai hotel room destroyed by fire. Zieler was a guest at The Address hotel in the emirate that went up in flames on New Year’s Eve, but fortunately was dining at a nearby restaurant when the blaze broke out. Just 14 minor injuries were reported after the incident which caused widespread damage to the 63-storey building and gutted Zieler’s room on the 12th floor. The fire meant all Zieler’s possessions were lost. Zieler, 26, had to attend the German consulate in Dubai to get a new passport before he could return home. Email “German international lost all his holiday possessions in Dubai hotel fire”. 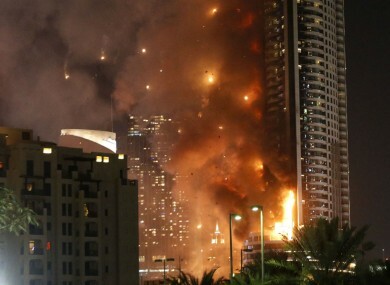 Feedback on “German international lost all his holiday possessions in Dubai hotel fire”.